Autism Spectrum Disorder (ASD) refers to a group of complex neurodevelopmental disorders which affect a person’s social skills, communication, and learning abilities. According to the Centers for Disease Control (CDC), ASD occurs in 1 in every 68 births and is more common in boys (1 in 42 births) than girls (1 in 189 births). As a spectrum disorder, there is a range of symptoms with varying degrees of severity which can impact individuals with the condition, making each case of autism unique. ASD begins in early childhood and persists throughout life; however, depending on the extent of ASD symptoms, the condition may not be identified until adulthood. Fortunately, there are many autism spectrum disorder therapies which can help both children and adults with ASD live more successful lives. If you suspect you or your child are experiencing symptoms of autism, schedule an ASD evaluation with Dr. Tansman of Psychological Assessment Services. Call (310) 734-0306 or contact us online today! Autism symptoms can range from mild impairment to severe disability. These symptoms and behaviors will fall into one of three categories: repetitive behaviors, social struggles or difficulties with communication. Many ASD symptoms can be attributed to other conditions or result in no underlying medical condition at all, which is why it is important to schedule a comprehensive autism spectrum disorder evaluation to make an accurate diagnosis. Even though children and adults often experience several of the above-mentioned symptoms, they may sometimes have unique strengths and abilities such as an above average intelligence—particularly excelling in math, science or artistic activities—and the ability to retain large amounts of information. There is no definitive test which can diagnose autism spectrum disorder; rather, Dr. Tansman must evaluate your child’s behavior and development to arrive at an accurate diagnosis. An early diagnosis can occur in infancy, as certain behaviors and developmental concerns associated with ASD are observable in children by the age of two. The CDC recommends specific ASD screening by the age of 18-24 months. 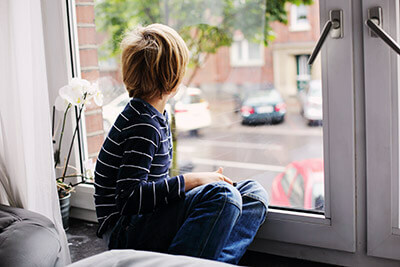 Dr. Tansman’s experience in previous child guidance and special needs settings has given her invaluable insight into autism spectrum disorder behaviors and symptoms. She will rule out any coexisting learning disabilities and processing disorders, as well as conduct a thorough investigation into your child’s current behaviors and past history, to make an accurate diagnosis. Diagnosing ASD in adults can prove difficult, as many autism-related symptoms can parallel other mental health disorders, such as schizophrenia, ADHD or OCD. Similarly to the process of diagnosing children with autism, Dr. Tansman will thoroughly review your symptoms and spend time discussing your developmental history as well as your social interactions and behaviors presently and in adolescence. For children, developing an ASD treatment plan in early childhood is essential to reduce symptoms, and can help them to learn and socialize in meaningful ways. For adults, an ASD diagnosis can help give insight into past behaviors, and treatment can focus on better managing current issues affecting their personal and work lives. Your treatment may consist of medication, dietary changes, behavioral or occupational therapy, speech therapy or even complementary and alternative medical treatments. Facing an ASD diagnosis is undoubtedly overwhelming. However, research shows early intervention results in the best outcomes for children with autism, particularly in their capacity to interact with others and learn critical skills. Therefore, it is important not to ignore any symptoms your child is presenting with that may indicate autism spectrum disorder. To schedule an ASD assessment with Dr. Tansman of Psychological Assessment Services at her Los Angeles, Rolling Hills, Pasadena or Irvine office, call (310) 734-0306 or contact us online today!